How to Identify Good Quality Power Bank? Home > News > How to Identify Good Quality Power Bank? Our smart-phone is making us really annoyed from past few weeks as its battery goes dead every now and then. So, i am planning to buy a new and good quality power bank for it but pretty confused which is the best one to buy? There are others worth testing. Read through the Amazon reviews to get a sense of what you might expect from end users who have done some of the legwork already. There is enough generic crap being peddled now that although most of us can grab an $8 battery,it might make more sense to look around for better quality if it means only still spending less $20-30. When it comes to a power bank, you absolutely get what you pay for. Your Smart-phone, specifically, has approximately a 3220mAh battery. Power banks will typically start around the 5000mAh range and get higher. If you're to purchase a 10,000mAh power bank, you will essentially be able to charge your phone 2.5 times before you need to recharge the bank. You can always get a higher capacity power bank, but with higher capacity comes bigger physical size, longer charge times, and higher cost. For a decent 10,000mAh power bank, you should expect to pay in the $20 range. 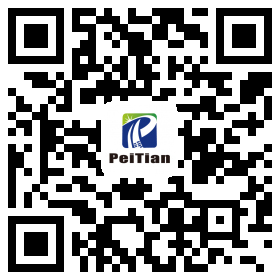 Shenzhen Peitian Electronic Technology CO.,Ltd is a power bank factory,focusing on the production and sale of power banks over 12 years,the capacity of power bank is from 2,000mAh to 20,000mAh,low-price with high-quality,your best choice!